When using the “Launch Blog Program to Post” feature in my Office 365 SharePoint Blog I encountered the following error in Microsoft Word. Word cannot register your account. To resolve this I needed to do things. Download the Desktop Extensions for Office 365. 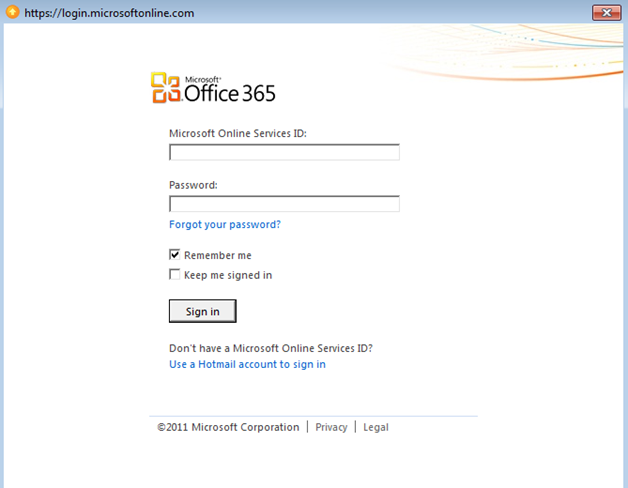 Office 365 uses a custom authentication mechanism which Word by default doesn’t support. Installing the Desktop Extensions enables this support. You can download the extensions from your Office 365 Portal under the downloads section. 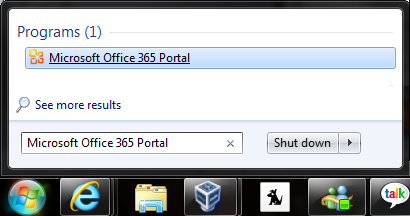 After running the Desktop Extensions in your Start Menu you’ll have a new shortcut for the Office 365 Portal. Open it. Under Team Site, select “Word” to create a new Word document. This will open a new window where you give the file a name. Provide a name and press “OK”. The document will now open in Office Web Apps, but in the ribbon there will be an option to “Open in Word”, select it. You’ll now be asked by Microsoft Word to sign into Office 365. Sign in using your credentials. SharePoint will prompt you to enter the “New SharePoint Blog Account” information, just press OK.
You should now be able to post without any problems.